What is my Imei number?.. The International Mobile Equipment Identity or IMEI (pronounced /aɪˈmiː/) is a number, usually unique,to identify GSM, WCDMA, and iDEN mobile phones, as well as some satellite phones. The IMEI number is used by the GSM network to identify valid devices. Read up the rest of the details on imei numbers on Wikipedia.. There are probably a lot of potential ways of finding out the Imei number for your phone.. But we will list the most common ones.. 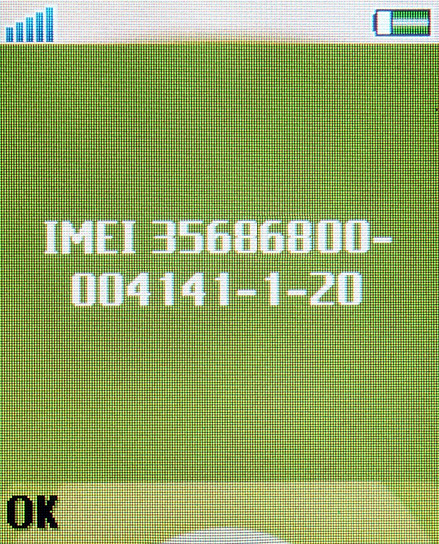 Type *#06# on your phone, Imei will be display on screen. Written on the box you got with the phone. Written inside the battery compartment. You can use some software to read it. *The first option is the easiest and most accurate in our opinion..